We're hosting some of the valley's most innovative startups, looking to recruit technical talent in the areas of Machine Learning, AI, Mobile Development, Natural Language Processing and more. Each startup will pitch their business, some challenges they're looking to tackle and the positions they want to fill. You will then have time to breakout and talk further with each team. This is great opportunity to meet and build relationships with exciting startups and become part of their growth stories. 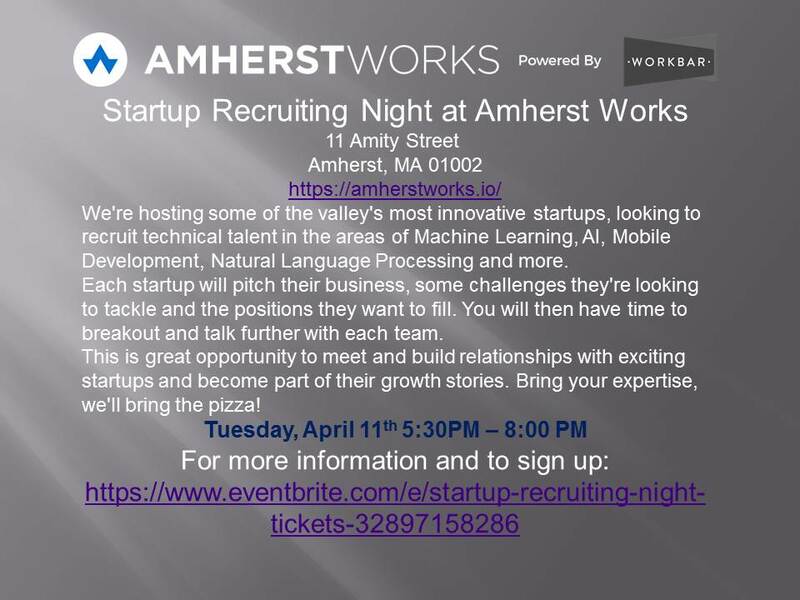 Come join us at AmherstWorks on April 11 at 5:30pm - bring your expertise, we'll bring the pizza!